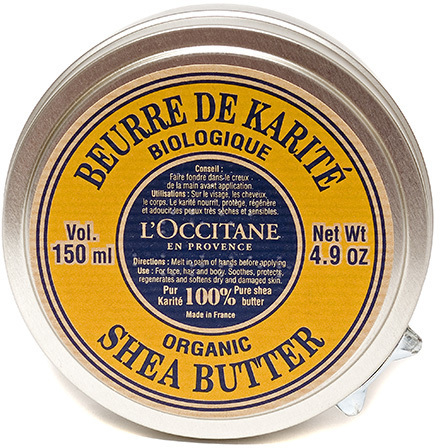 L’OCCITANE Organic Shea Butter has no flavour, fragrance, or colour added. The formula contains 100 per cent pure shea butter, and can be used to nourish, moisturise, soothe and soften the skin. It may be used to moisturise specific areas of the body, as an under eye moisturiser, a cuticle treatment, lip balm or even a hair mask. 100 per cent organic. I discovered this product when my son was born with severe eczema. It is a solid product that i can add on to any lotion to give it an extra boost of moisture for his skin. I've also used it throughout my pregnancy to reduce the chances of developing stretch marks in addition to the almond supple skin oil from Loccitane as well. You just need to warm up a little between your palms and mix it with a dollop of your favourite scented lotion for it to work wonders. OMG! When I saw this I thought I had to buy it! My face suffers from the occasional dryness cause by the weather and dehydration, and this works a treat. Non-greasy, works on targeted areas, and small enough to fit in my small makeup bag, I carry this alongside the Loccitane solid perfume. This little tin of magic is an essential for every handbag across the globe! It is a rich moisturising balm that cures all super dry skin problems naturally, and is so multi-purpose it literally can be used from top-to-toe. I've found it works brilliantly as a lip balm (smoothes away chapped lips within a day), on dry cuticles and even as a super hydrating under eye treatment (great for crows feet). Being as pure and concentrated as it is too, you'll never have to worry about it leaking in your handbag either!  This is a great product and a multi tasker. It is great for dry skin but I tend to use it to settle my hair and fight frizz which it does really well without making my hair limp or greasy. You only need a small amount too to get great results. It is a little bit on the hard side I would say (the consistency is like a balm) so you may need to dig in to extract it at first and rub it in your hands. Otherwise it is easy to use and spreads well when warmed. I love that it is 100% shea butter and organic too and can be used for so many things. This is a fantastic product to spot treat dry patches of skin anywhere on the body. I mainly use it on my hands, feet, elbows and knees but would happily use it on any area of skin that was particularly dry. It takes some time to warm up, then melts into the skin and feels wonderfully luxurious as well as hydrating and repairing. I use this mostly on my lips but my daughter uses it on her elbows as they seem to be quite dry. The consistency is very solid but once you have a bit on your finger it gently melts and is very workable. It seems quite expensive but as you use only tiny amounts each time the tin seem to last for a long time. I cant believe i've never reviewed this product. I've been using the Shea butter for over a year now!! This is such a multi-purpose product! I use it on everything it it simply works on everything! I love it as a lip balm, extremely moisturising and nourishing. I've also used it on my cuticles, and on my face at night time as a moisturiser! I also used this on my 4yo son, who at kinder bumped his forehead and needed to have the (very deep) cut glued! once the glue dried out he obviously had a nasty scar... I was not happy about that at all, so I instantly started using L'Occitane Shea Butter, and massaged it gently onto his scar EVERYDAY!... the cut was about 1-2cm long! so pretty big... and now you wouldnt even notice it was there! Just amazing!!! My husband tells me all the time "lucky you used that, because he would have a nasty scar otherwise!" Very true story!!! So if you want the best Shea Butter, L'Occitane is the way to go! I swear by it! I have very dry elbows, and in spite of always moisturising these with my normal body lotion, they just do not seem to be moisturising enough. Since using the Honey Mom Balm, my elbows have been ever so soft and moisturized, and used just a few times a week, seems to keep them that way. My husband has a bit of rash/eczema on cheeks, and having very sensitive skin, there are limits to which products he can use. Having used a tiny bit of the Honey Mom Balm on the affected areas every night (he didn't want to use it during the day, out of fear that he would look too greasy in the face while at work) – and within a week, the effect has been amazing – the redness and flakes are gone, and the skin is so soft and moisturised – and even hubby has realised that the balm absorbs immediately into the dry areas of his skin, leaving no greasiness whatsoever. I have also used the Shea Honey Mom Balm on my lips, face, hands, nails, feet, elbows, knees…. this is such a magnificent "correcting" balm that simply seems to work wonders on all dry and troublesome areas, and in no time moisture is restored in the skin. Dry and chapped lips turn soft, dehydrated hands and feet are repaired, dry nails and curticles are softened and nourished, and itchy rash and parched skin is instantly relieved and healed. I have tried, and love a few other L'Occitane products, but I will give the Shea Honey Mom Balm bonus points for being one of the very few in their product line to be truly natural, and chock full of natural goodies too. The ingredients include organic certified and Fair Trade attested shea butter, coconut oil and sunflower oil, and grape seed oil, and this also means that it contains no preservatives, and no perfume, but rather it is fragranced with sweet honey, so it is perfect for even the most sensitive skin. I love how the L'Occitane Shea Honey Mom Balm comes in a lovely little vintage style aluminium tin with a screw lid. The 50ml tin seems rather small, and at first glance you would probably find it quite expensive at $28. However, a little seriously goes a long way, so even if you use it frequently, I'd imagine that you would still struggle using it before it expires - which is 3 months after opening. This short period is simply due to it being so natural and preservative free. The Shea Honey Mom Balm, is thick and quite greasy, but it has a very soft texture, and once warmed between the hands, it spreads very easy. And as mentioned above, it does absorb into dry skin very quickly. Even though the balm is fragrance free, it does have a subtle scent to it, more than likely from the shea butter, the honey, and other the other natural oils – but still this scent is subtle, and far from overwhelming, as well as it does not linger too much. All in all I really like this L'Occitane Shea Honey Mom Balm, it truly is a real winner from L'Occitane, and although called Mom Balm, I highly recommend this as a fantastic multi-purpose treatment product suitable for the whole family, from babies to seniors, pregnant women, or those simply with very sensitive skin. And knowing that it is actually intended to help avoid stretch marks during pregnancy, and that it is completely safe to use during pregnancy being a natural product containing no fragrance, preservatives, parabens or other chemicals, I will definitely purchase again when I hopefully one day get pregnant. lovely lovely stuff. This balm is so kind to my skin and works wonders for anything dry, sore or chapped. I keep a tiny tin in my hand bag as my regular lip balm but the big tin can be used for elbows, knees, face (dry skin), under eyes, cuticles and lasts forever. I love the simple, functional design of the tin that makes it near indestructible and the fact that there is no added extras like fragrance to ruin a top quality ingredient. It is not cheap, but given how far it goes, its well worth the price. I use this as my lip balm every day, as well as on particularly dry areas on my hands and for when my nose gets chapped in winter from using too many tissues. I find that I only need the $12 8mL tub, because it lasts me about 4-6 months, whilst the 150mL tub seems to expire before the 1 year shelf life is over and is about 4x the price of the small tub. Would recommend this to everyone needing an all purpose balm - can be used on stretch marks, chapped lips, dry skin, hair ends, to make mascara last longer... the list is endless! And for the small trial tub size, you can't go wrong! Easy to take absolutely anywhere. I actually didn't know how many uses this had until now, I've been using it alone as a body butter after i shower and it's an amazing product, it's very rich, glides onto the skin and melts in easily and leaves it feeling incredibly soft, nourished and moisturised. It smells good and comes in a generous sized container that's good for quite a few applications. I haven't yet tried it as a hair mask, lip balm or under eye treatment yet but with so many uses, you'd be crazy not to give this a go, it's [perfect for dry winter skin too! I have the large tin of this, at $49 it's not cheap but it lasts forever. The tin is so pretty to look at, and the product is quite solid but I just run my fingers over the surface a few times to get the right amount of product. For larger areas I scrape some out like butter and warm it between my palms or apply it directly to the area. My fiance gets eczema over large areas of skin, and this is great for moisturising and preventing painful cracking, he is allergic to nuts and also coconut so a lot of oils and creams are no good for him, the shea butter is perfect. I use it on myself too, for the tips of my hair, my lips, elbows, feet, hands and cuticles - anywhere that needs a bit of tlc. I love that it is natural and pure, especially when dealing with eczema the more ingredients there are in the list, the more likely it will cause a reaction. This is such a great little handy tin to have in your bag. Yes, its a big expensive for the amount that you get, but its totally worth it and its 100% organic so you can't really beat that. I use this for my lips, cuticles and for the occasional stubborn dry patches that i get on my face. Its a very very thick balm, so you need to scoop a bit out and then warm it up in your palm so its melts a bit and is easier to apply. i love this product so much and will definitely repurchase again. warm it up first before using otherwise it will be difficult to use. for dry lips, elbows, anything that requires moisture. I must be honest I really liked the convienience of the small tin at first rather than the product, but I really wanted some shea butter and couldnt find it anywhere. After this i found a nice tub of shea butter at a health food store but still like the handiness of the small tin. Otherwise i appreciate that the product is complete pure and organic! Once I'd got over the price of a small tin, I fell in love with this stuff. It's great to treat small patches of eczema, can be used as a lip balm & I've found it particularly good as an under eye cream worn at night...I seem to wake up looking more refreshed / less dark circles on display than normal & the fine lines plumped out. A little goes a long way & the small tin has lasted me quite a while now - you would be hard pressed to use up the large size terribly fast just on your own which makes it better value. Great for very dry areas as it's very thick and rich. Requires warming in the hands before it's spread. Probably more suited to smaller areas like lips, elbows, etc. I find that the Pure Shea Butter is a good treatment cream for small areas that get very dry such as elbows, lips, heels. It is pretty rich and thick so has to be warmed a bit between fingers before using. Also because of the thick consistency and the price for the small quantity, I would recommend it only for small areas as a treatment, not so much for larger areas. I got this cute product when I flew in business class. I love the country-style vintage look of this cute pot and the compactness of it. Would be lovely if it smells nicer though. i always take this cream with me when flying long-haul. it is so rich and creamy, which is perfect for when everything starts drying out in-flight! i've used it on on my eyes and my hands, and everything inbetween! the tiny size tin is perfect for travelling too. Bring back your body confidence this summer, with these silky rich butters.